At the corner in between Aldersgate Street and Long Lane, opposite to the now Barbican station and Beech Street, stood the "Manchester Hotel" with over 240 room. It used to be a Victorian landmark in the area, popular with business men, visitors and juries attending trials at the Old Bailey. Opened in 1879, refurbished and modernised in 1921, suffered severe damages by the Second World War bombs and was consequently demolished. After the First World War it was temporary closed, and commanded by the government as a hostel for Jewish refugees escaping Poland and Belgium. Advertisement of the hotel regularly featured on local magazines and periodicals referring to its splendid rooms, wine cellar, luncheon for City workers, and as a venue for wedding receptions. Other notable buildings of today include 200 Aldersgate, a large office complex at the southern end of the street, and the offices of Moore Stephens, an accountancy network, at 150 Aldersgate St.
^ Williams, Hywel (2004). "Renamed Stations". London Underground History. Retrieved 10 May 2007. 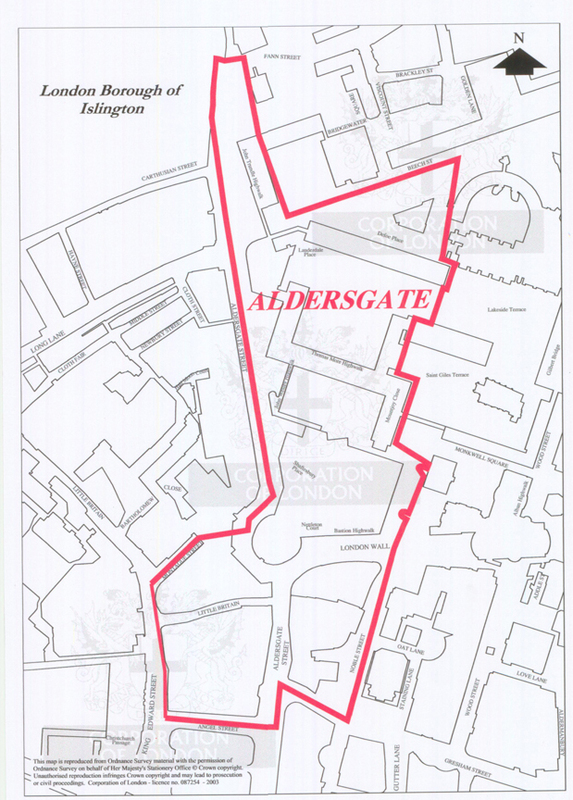 ^ "Aldersgate". British History Online. Retrieved 10 April 2012. ^ "Aldersgate Street and St Martin-le-Grand". Old and New London. Centre for Metropolitan History. 2: 208–228. 1878. Retrieved 10 May 2007. ^ "History of the Barbican Estate". 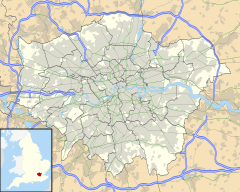 City of London Corporation. Archived from the original on 15 March 2007. Retrieved 10 May 2007.